Ship, shore and pipeline surveys are carried out by experienced and highly trained staff assisted by the latest equipment and reporting is in accordance with internationally recognised levels of detail and reference. Through the inspection of shipments and the supervision of transfers, our surveys provide a certified quantitative and qualitative record - an independent verification of the standard and size of the shipment to be loaded or consignment to be discharged. As well as alongside jetties, Q & Q supervises ship to ship and pipeline transfers representing the customer’s interests where they matter most - at the point when title is transferred. Offices and laboratories are located near to the major ports and key refineries, which is essential when speed and efficiency are as vital as technical accuracy. The staff that man them are chosen because of their personal skills and professional expertise. 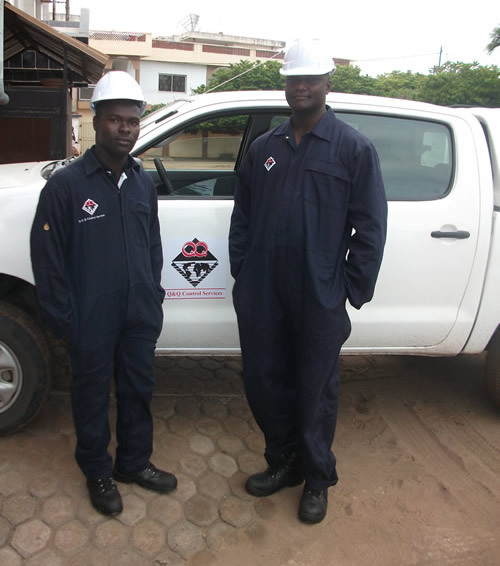 In addition Q & Q is committed to extensive training across all levels of personnel and all technical disciplines. Although training guarantees that the necessary skills are available in all locations, additional advice is always available from Head Office whenever it is needed- 24 hours a day. Our measure of efficiency is your measure of success. Qualitative analysis confirms the specification. Where problems are identified, our skilled surveyors can provide the guidance and advise necessary to rectify the situation.